Audaciously massive and intriguingly mysterious, Japanese-born Chiharu Shiota’s art installations are scenes of entangled webs comprising sophisticated knots, loops and loose ends. Imagine walking down a labyrinthine of memory lanes dangling with colourful correspondence trapped within confusing black threads, or navigating the enveloping darkness in a maze of tunnels surrounded by rusted or paint-peeled doors wrapped with suffocating twine. Chiharu’s art pieces are atmospheric, perplexing and open to each spectator’s liberal interpretation. The Berlin-based artist leaves her signature around the world by entrapping nostalgically inspiring objects with colossal web of strings. Innumerable keys in gold and bronze were held captive by a vast red tangled net, swayed ominously above a discarded old boat. Pile of vintage suitcases cascaded down from a ceiling of meshed red cords; white classic dresses from the Elizabethan era hid obscurely behind a gigantic web of complex intricacy. Ancient piano, footwear of varied sizes and styles, white hospital beds, wooden furniture and other tangible items revolve around the constant theme of black or red yarn. 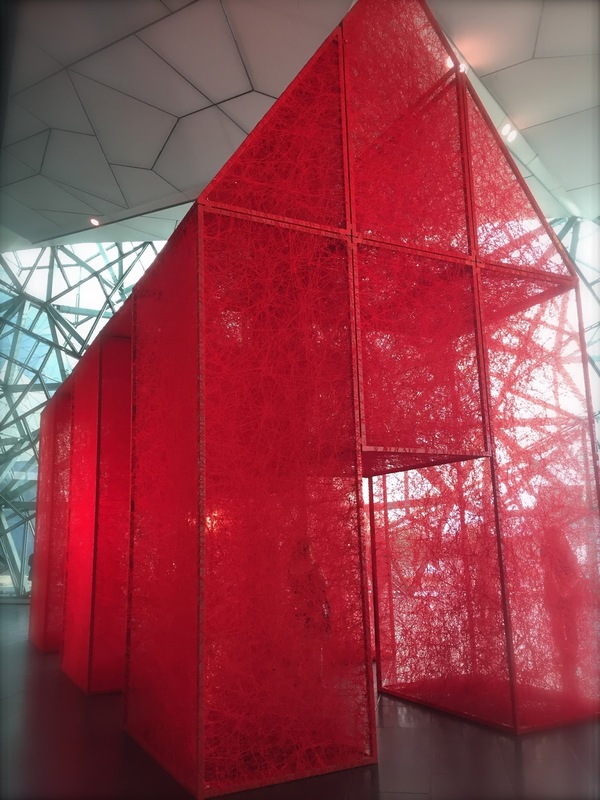 Chiharu’s “The Home Within” is a large-scale architectural structure of complicated lines woven and interlaced into a fiery house in red. The dimensionally challenging work will tour around the Meat Market and Melbourne Town Hall in the coming weeks. A separate solo exhibition of Chiharu Shiota is now showcased at the Melbourne Anna Schwartz Gallery.